As promised, Lexus unveiled a new flagship concept vehicle that provided a glimpse into the progressive luxury and technology direction of the brand’s not so distant future. The Lexus LF-FC flagship concept was revealed at the Tokyo Motor Show yesterday and it was a vision- taking center stage in the Lexus booth. “Lexus wants to surprise and evoke emotion with its distinctive design and forward-thinking technology. For us, it is more than just a car, and we should exceed conventional imagination. 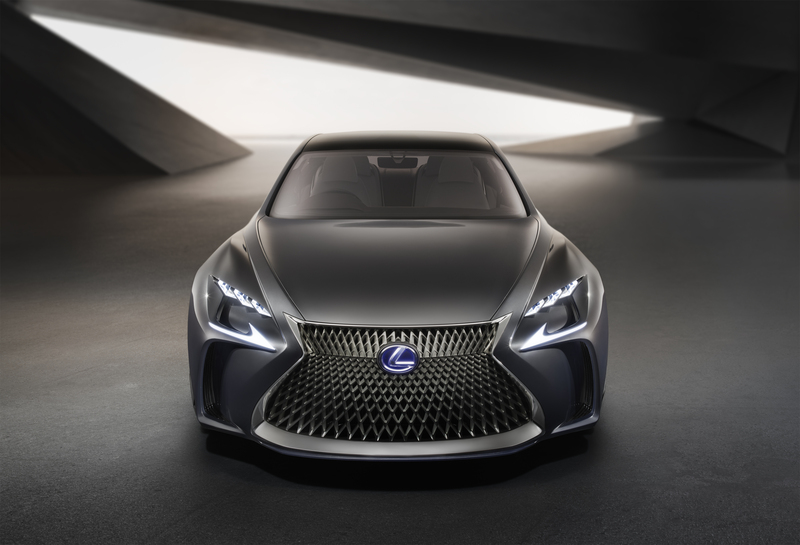 The LF-FC expresses our progressive luxury and high-tech vision of a not so distant future,” said Tokuo Fukuichi, Lexus International President and reported in yesterday’s press release from Lexus. The design of the Lexus LF-FC flagship concept is futuristic yet decidedly Lexus with its overall design philosophy reflecting the Lexus’ L-finesse heritage. 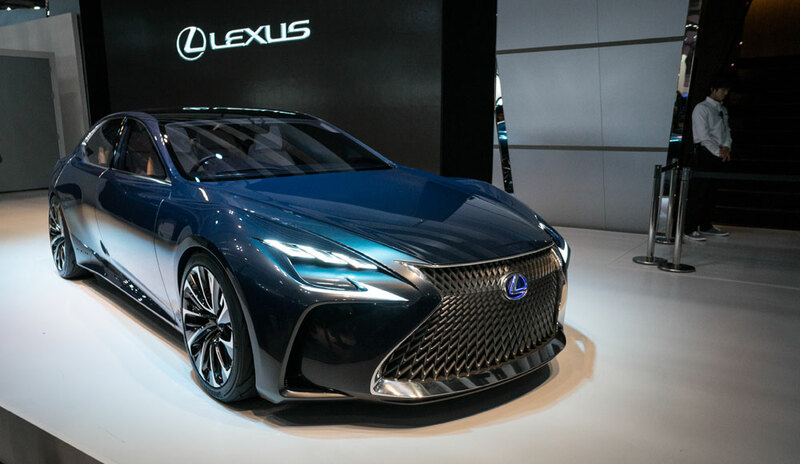 The LF-FC flagship concept not only features a fresh take on the new, “aggressively elegant” Lexus style, but it also introduces innovative technology including an advanced human machine interface that can be operated without actually touching any controls. Simple hand gestures are used to operate the audio system, climate controls and more; with the most impressive aspect of this new technology being the small holographic image displayed on the center console indicating where the system can “read” your hand gestures. The LF-FC also debuts a high output fuel cell power system that makes the LF-FC all-wheel drive. Lexus explains that the innovative drive system allows for precise torque distribution control between the front and rear wheels, giving the full size sedan exceptional dynamic handling and superior road stability. 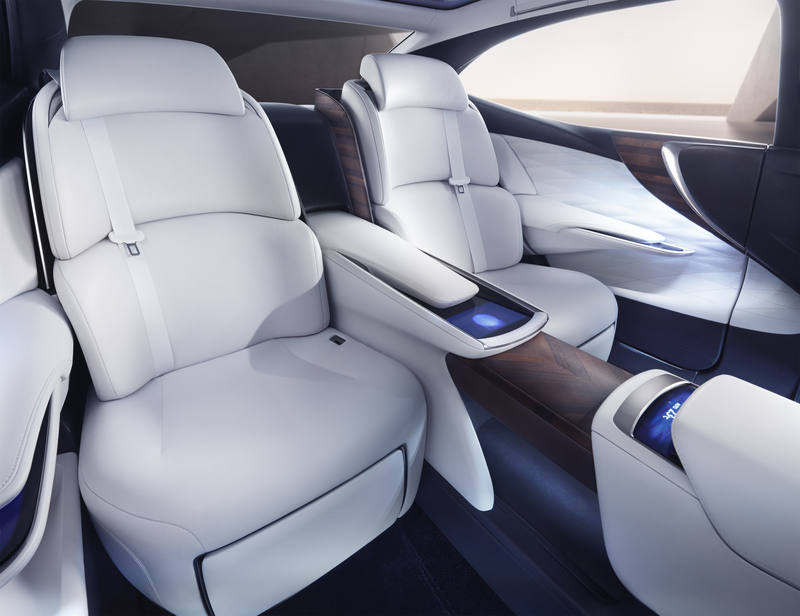 The rear seats in the LF-FC concept have been designed for those who enjoy being driven…sounds good to us! These rear seats offer a reclining feature and plenty of head and knee space. High quality aniline leather seats, doors and dashboard further enhances the luxury elements of this high-tech vehicle.